Recently I took a little road trip up to Maine with the fam to take in some nature, hike a bit, and perhaps check out a lighthouse or two. Thankfully my family agrees on all the important things: naps are a must, pies are necessary, and one cannot pass up a local ice cream establishment. 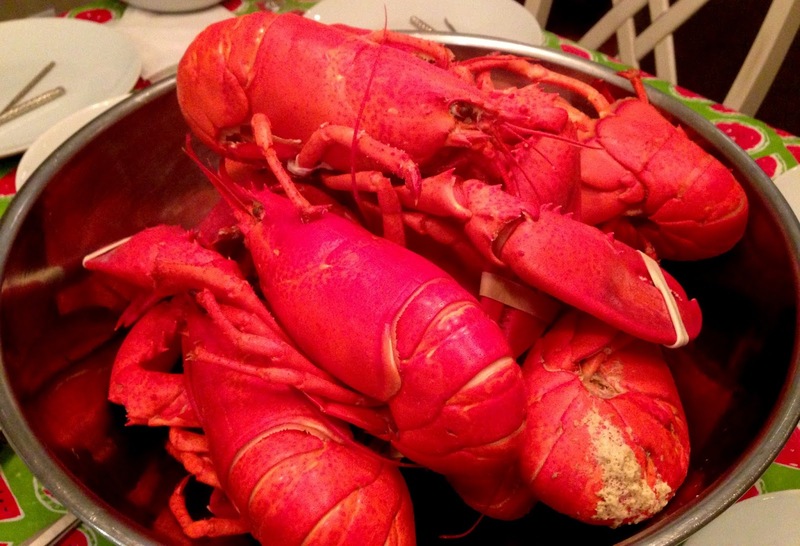 We also established at the very beginning that lobster was to be eaten every single day, at least for one meal, if not two, and possibly even three. You know it's a good Maine road trip when the first meal you eat is a lobster roll before you even get the bags out of the car, and the last is a good ol' lobster boil! 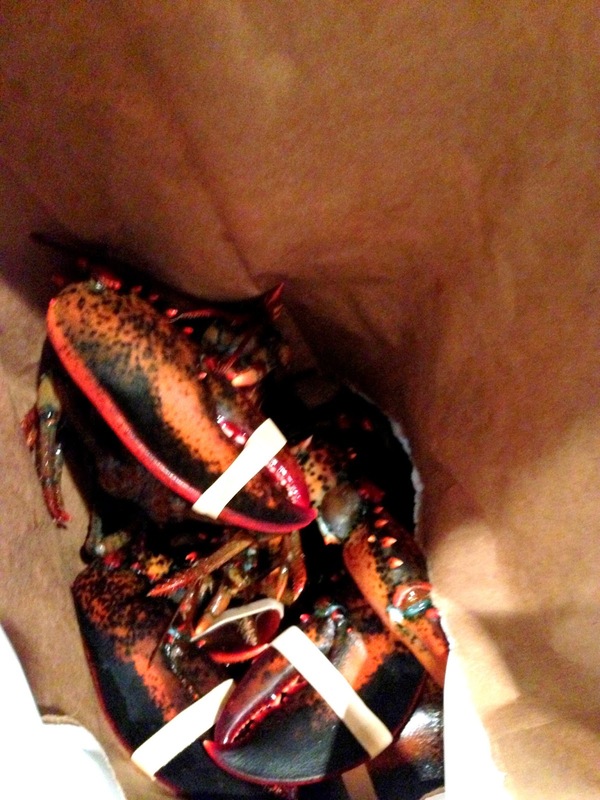 Have you ever had a soft shell lobster? The difference between these and regular lobsters is that the soft shell lobsters have briny salt water between the lobster flesh and the shell, and are a little sweeter and more tender than regular lobsters. 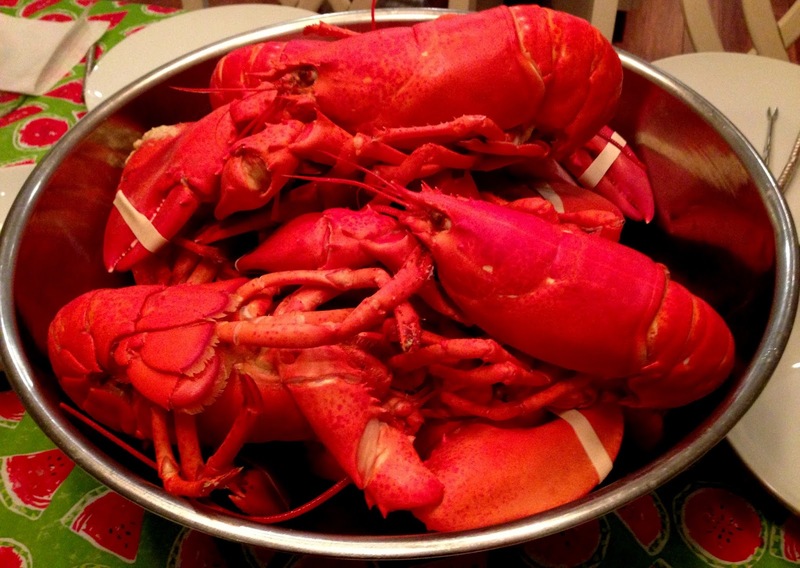 Luckily enough, we happened to be in Maine just right smack dab in the middle of soft shell lobster season! And since we were renting a house (definitely the best option for this kind of trip) and some of our happiest family moments have often been in total silence while we attacked a delicious spicy crab curry or a pile of boiled crabs at home, we knew we had to try boiling up some soft shell lobsters in our rental's kitchen too. Of course since it was a Maine vacation rental, the house came equipped with a lobster pot! 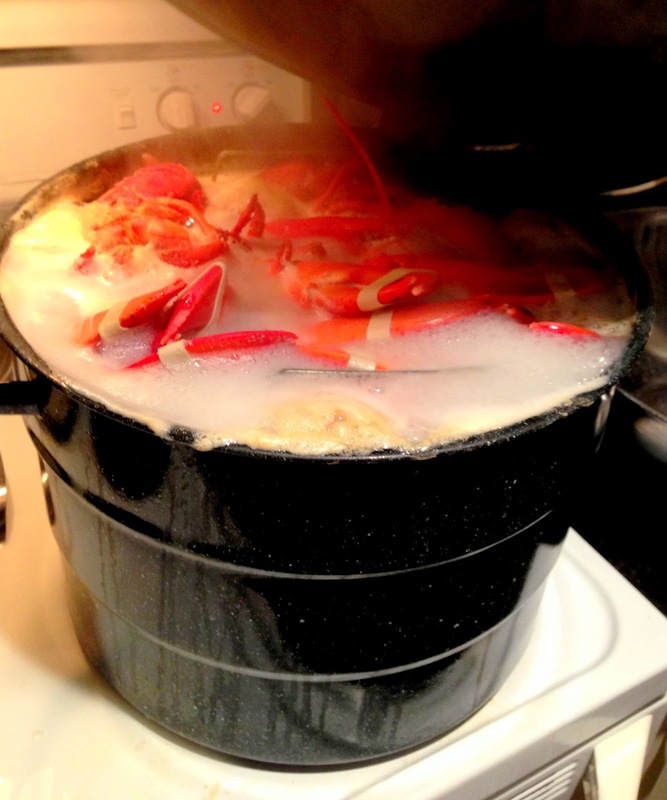 We started researching tips and tricks to boiling lobster. Head first? Tail first? Start with cold water or boiling? 12 minutes? 15 minutes? So many different opinions! Finally we just ended up asking the very nice lady at the lobster shop what she does and how long she thought we should boil these 1lb - 1 1/2 lb soft shell lobsters. Good to ask an expert! - so that's about as good a picture as I was going to get of them! 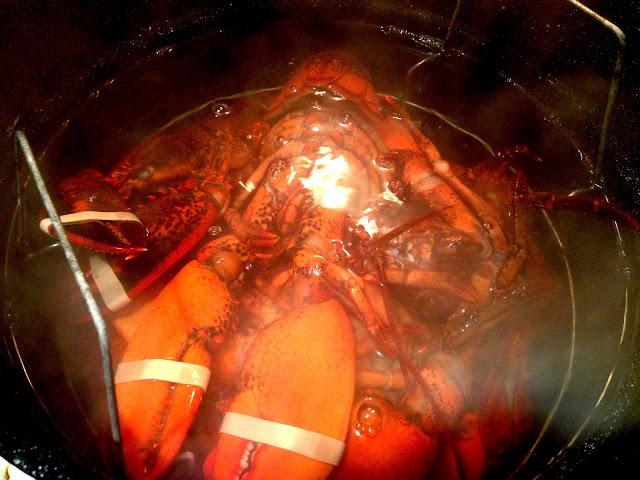 So here's what you do: add about 3-5 inches of water to your lobster pot and salt generously (apparently traditionally lobster would be cooked in clean sea water!). 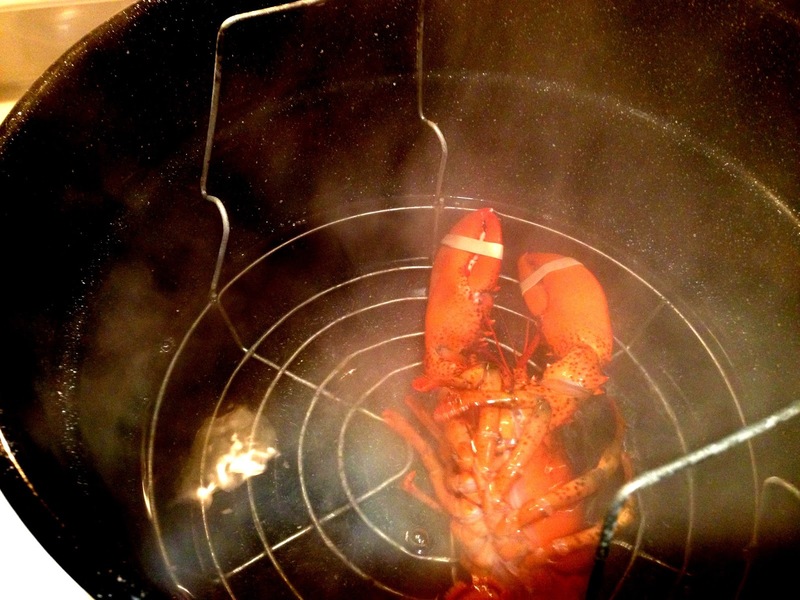 Bring to a boil, then add in the lobsters tail first (what's your stand on the tail first/head first debate?). This way, they "settle right in" as the lobster lady said. Pile 'em in, add more boiling salted water on top if necessary, cover, and bring back to a boil. Once the water is at a rolling boil again, boil the lobsters for 12-16 minutes depending on size. For these 1lb - 1 1/2 lb lobsters we boiled them for 15 minutes. 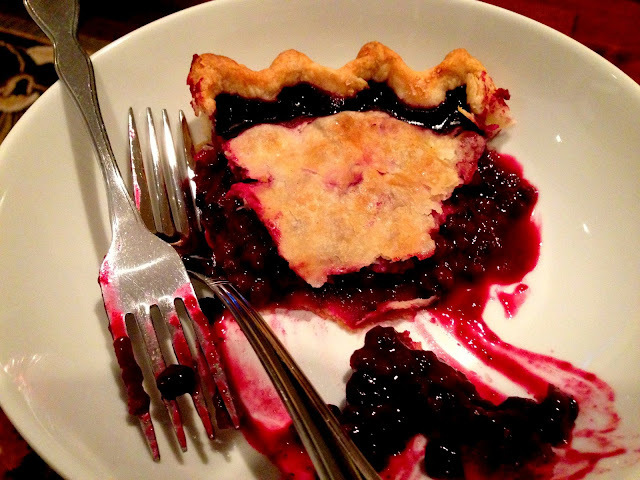 Remove, pick apart, and enjoy! There's the first one "settling right in" as it were. Be careful - the boiling water might foam and spill over, so you might have to ladle some of it out. Ready to crack and pick and gobble up! Obviously part of the slice disappeared during the taking of this picture...don't ask me how. Watch out for a Mount Desert Island/Acadia National Park-themed Travel Tuesdays post next week!